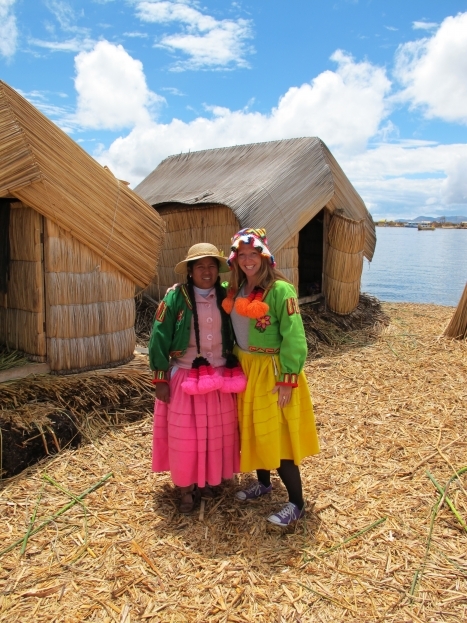 Few travellers come to Peru or Bolivia without stopping for a few days at Lake Titicaca. At about 3800m above sea level, it’s the highest lake in the world. After spending much of the past month in the desert, we were pretty keen to feast our eyes on some blue water. 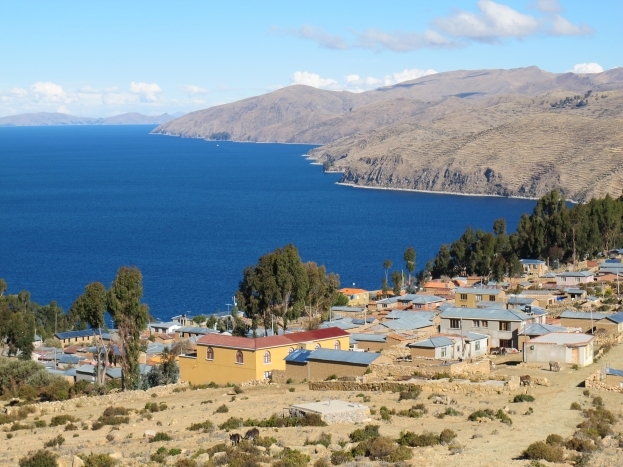 We caught a bus from La Paz to the small tourist town of Copacabana (pictured above) then boarded a ferry to Isla Del Sol (“Island of the Sun”), where the ancient Incas believe the sun god was born. On the bus ride we met an Aussie guy and a couple of hilarious Brits, who we ended up spending the next few days with. The 90-minute ferry dropped us off at the south end of the island where we had a gruelling walk up a giant set of stairs to the small township of Yumani. There we met a local lady called Sonia who offered us a room with lake views for only $3 each a night. We couldn’t say no. It was getting fairly late by the time we checked in, so after a small walk, we headed to the Las Velas restaurant for dinner. Finding the restaurant was a tad tricky. After following a sign into a dense eucalyptus forest (read: horror movie scene), we couldn’t see any sign of life. But luckily we ran into another group of travellers who led us there by torchlight. Thank goodness we found it – it was one of the best meals of our trip. The restaurant didn’t have electricity, so the owner took our orders, high-tailed back to his house to pick up the ingredients from his fridge, then carefully prepared a delectible dinner. 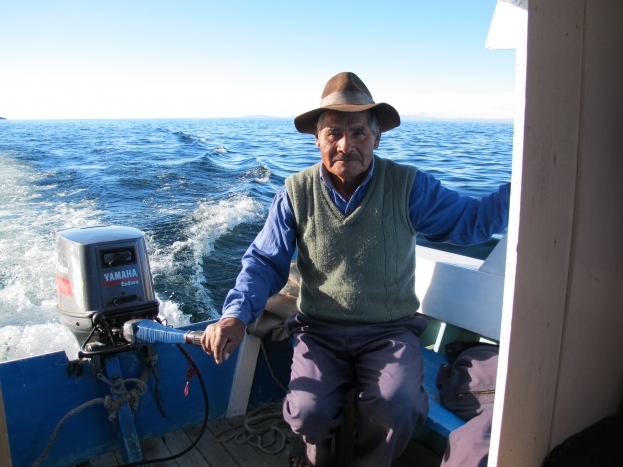 We all ordered the Lake Titicaca specialty – trout – which he cooked with tomato, onion and basil in tin foil and served it alongside steamed vegetables and a choice of mashed potato or quinoa. The next day was spent hiking from one end of the island to the other. At high altitude, seemingly small hills can be quite a challenge. From different vantage points along the track you got a different view of the seemingly endless Lake Titicaca. But by the time we’d clocked 10km, we were well and truly spent and splurged on a boat to drive us back to the other side of the island where we crashed out early. The next morning we headed across the border to Puno, Peru. 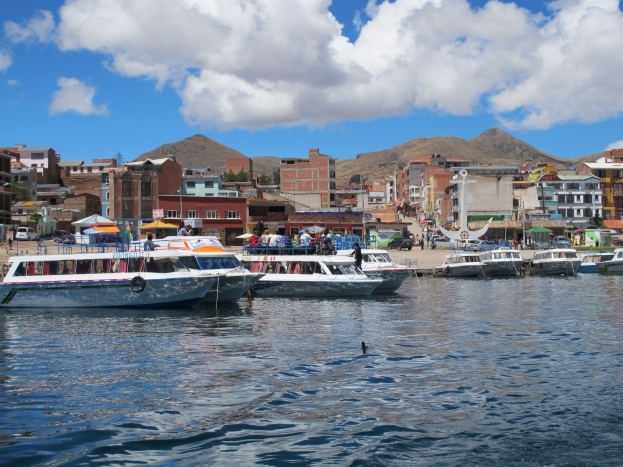 This busy lakeside city was completely different to its sleepy neighbours on the Bolivian side, with lots of traffic and swarms of people in the street. The main drawcard for tourists is the “floating islands”. 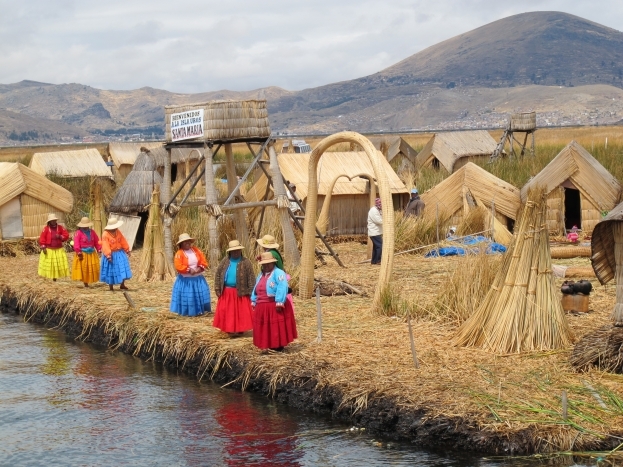 The man-made reed islands were first created by a group of peaceful Peruvians who wanted to escape the aggressive Incas. These days it’s basically a tourist attraction, and while it was interesting to see, we had our doubts about how many of the traditionally dressed people actually live on the islands like they claim to. Nonetheless, I couldn’t pass up the opportunity to marvel at their creation and try on their garb for a few happy snaps.